Would You Like to Become a Christian Health Coach? Do you love to learn–and be ALL the Lord is calling you to be? Me, too! Have you been thinking about training to become a Certified Health Coach — but have been discouraged by the high cost or the New Age/metaphysical slant of a lot of the CHC training out there? I'm grateful that our good friend Dr. Jordan Rubin has made it easy for people to do just that — plus become a Certified Health Coach with a Biblical Worldview! There are some good Certified Health Coach courses out there (many of which cost thousands of dollars), but not from a Biblical perspective. That's important to me (I've done the New Age-y route, and I don't want to go that way anymore!). 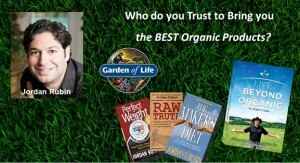 Through the Certified Health Coach program available now through the online Certified Health Coach Institute, you will be able to learn directly from New York Times Bestselling Author Dr. Jordan Rubin (author of “The Maker's Diet” and 22 other books, founder of Garden of Life, and Beyond Organic). This is a 40-to-60-hour self-paced online Certified Health Coach program (go as fast or as slowly as you'd like). Upon successful completion, you will receive your CHC Certificate from CHCI. You can become a Certified Health Coach with a Biblical Worldview! CLICK HERE for the Replay of the Certified Health Coach Webinar and find out if our CHC program from a Biblical worldview is for you. Discover what you can do as a Christian Health Coach. Offer One-on-One Coaching, Group Coaching, or Both! 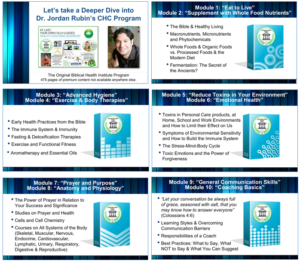 See how you can receive this uncompromising education written by Jordan Rubin, Ph.D. as a very special BONUS for those who choose to partner with us in this mission of health & wellness. Dr. Jordan Rubin is passionate about health & nutrition education. 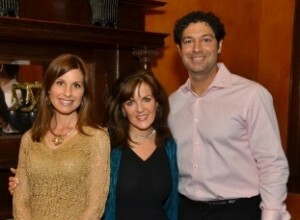 Dr. Laurette Willis with Dr. Jordan Rubin and his wife Nicki. As believers, it is imperative that we be what I like to call “Fit Witnesses” for Christ in spirit, soul, and body. Help others do that, too, as a Certified Health Coach. You could easily BE the answer to prayer for someone–and many “someones” over the course of your Christian Health Coach career. I'm grateful that Jordan Rubin is passionate about quality nutrition AND first-rate nutritional and health coach education. We have it all in Jordan Rubin's Biblical Health Coach Certification. “America's Biblical Health Coach” Jordan Rubin has a “Joseph mandate,” and is helping people in many ways to improve their health–all while honoring the Lord and His Word, and keeping Biblical principles in the forefront. As the Founder of PraiseMoves Fitness Ministry, I am pleased to partner with Jordan Rubin for this Biblical Certified Health Coach program through the Certified Health Coach Institute–with downloadable resources, an online learning community, complete with educational curricula, business-building resources and more. Offered from a BIBLICAL WORLDVIEW — I LIKE THAT! Discover the 10 units covering all aspects of the Certified Health Coach program from a BIBLICAL worldview. Upon successful completion of the Online Biblical Certified Health Coach program, you will receive an official Certified Health Coach certificate from the Certified Health Coach Institute. 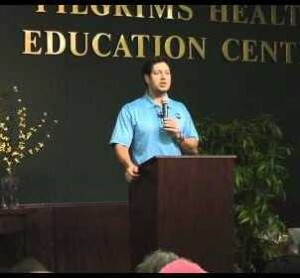 Dr. Jordan Rubin is uncompromising in sharing the Biblical aspects of Certified Health Coach training. This is the same Biblical Certified Health Coach program valued at $1,500 in years past–yet now through our association with Jordan Rubin, is a special bonus for those who choose to partner with us. The value and ability to use all you will learn and receive is phenomenal! Imagine being able to call yourself a Certified Health Coach (yes, with a CHC after your name!). You'll be able to share with others what you have learned, and help point the way to health and fitness for them in spirit, soul, and body. Learn more about this life-changing Certified Health Coach program in partnership with Dr. Laurette Willis & PraiseMoves Fitness Ministry with Dr. Jordan Rubin's uncompromising CHC training program! Contact the Certified Health Coach Institute or Go HERE to view the Replay of the CHC Webinar. After you view the Webinar Replay you can set up an appointment with Dr. Laurette Willis to discuss this opportunity to become a CHC (Certified Health Coach) from a Biblical foundation…and so much more. 27 Responses to "Become a Certified Health Coach"
Please send me information about your Health Coach certification program. I would love to start as soon as possible. My email is redeagel12@gmail.com. looking forward to hearing from you. I am so sorry – your message from our website wound up in our bulk mail folder, along with several others interested in the CHC program. Please call us at 918-458-1800 and we can ask a few questions so we can be sure to get the proper information to you. 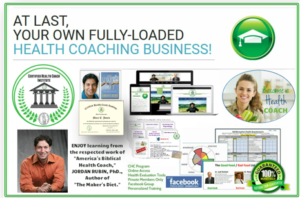 I am interested in becoming a certified health coach through Beyond Organics University. Can you share with me more about the program? Hello, John! It was good speaking with you today. The information has been sent. Looking forward to reconnecting later today to answer any questions for you. I am very interested in becoming a certified health coach. I have been a high school teacher for 16 years. I currently teach Bible Literature to 12th graders. I am also involved in my church and have been a Bible study leader and youth volunteer. I also teach Stretch and Strength class for P.E. credit at my school. I have been a dancer for 38 years. I am highly interested in being a health coach and have spent a lifetime learning to be healthy, inside and out. I think I can offer insight to others. I would like to learn more. I would like to transition from teaching in high school to teaching in churches or in my own practice. Would like advice on how to proceed. I plan to become a PraiseMoves instructor as soon as I save up for the September training. Thank you for your time. Hello! I am very interested in the CHC Program also! How do I apply? Thank you! I am very interested in your Health Coaching program. Please contact me. God bless. Interested in Wellness coach training, currently on fixed income. Yes, we have this available in New Zealand, Joanne. Info sent to you. I’m really interested in becoming a health coach. What are the difficulty of becoming one? Is this Certified Health Course still available? How do I purchase the course?